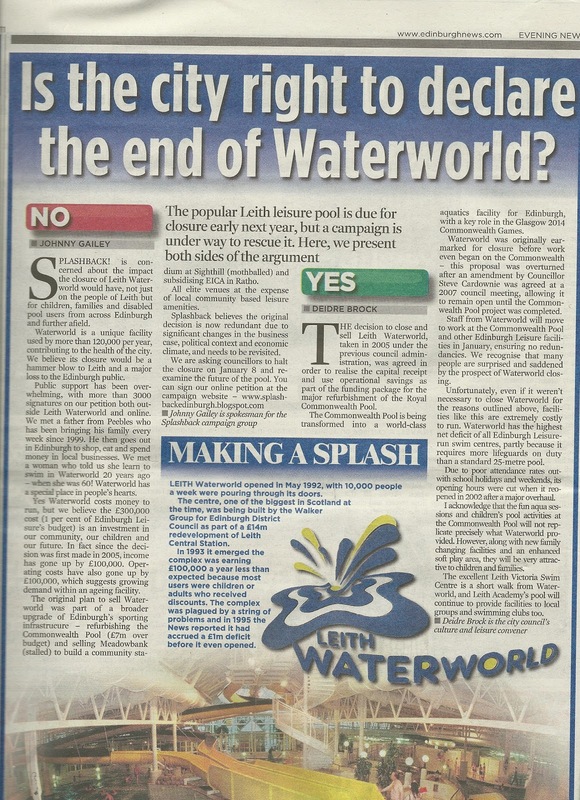 Splashback – Save Leith Waterworld: Splashed across the papers! As the Splashback! 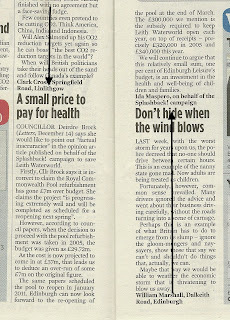 campaign grows, so too do the column inches... On Monday night, 12 Dec, the Edinburgh Evening News featured a head-to-head article between the Splashback! campaign, arguing against the closure, with Cllr Deidre Brock(Leith Walk ward, Head of the Council's Culture and Leisure and Vice Chair of Edinburgh Leisure board) outlining the Council's reasons for closure. 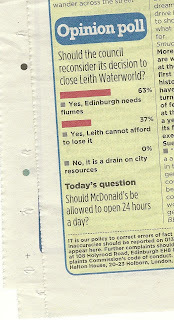 Elsewhere in the Wed 14 Dec edition of the Edinburgh Evening News, the paper published the results of their survey of readers about the closure. 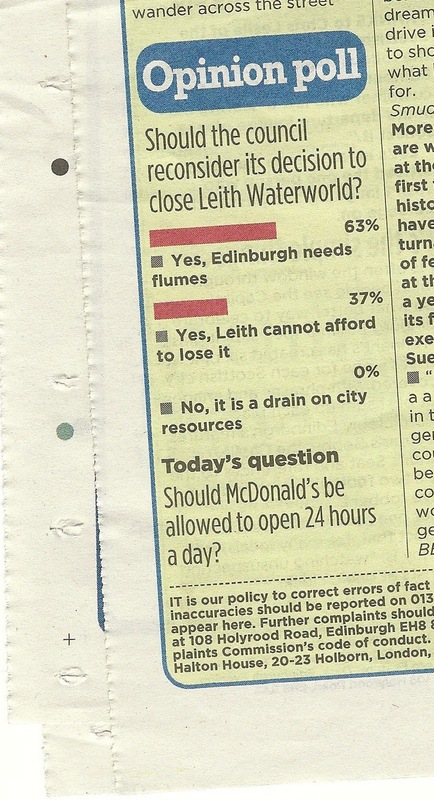 Hard to interpret this as anything else other than conclusive public support for the campaign's aim to keep the pool open, with 0% (not one person) voting for the closure under the reason that 'it is a drain on the city's resources'. 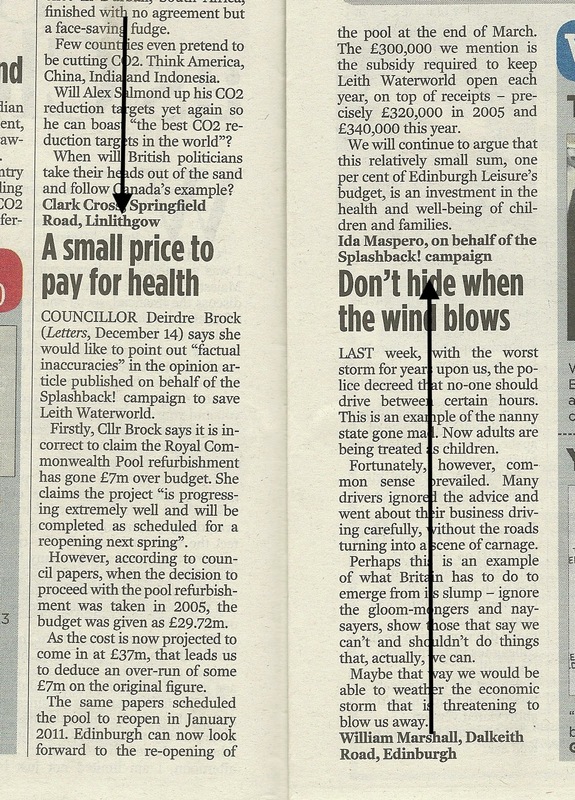 Meanwhile STV published on their website on Wed 14 Dec , an article written by Cllr Marjorie Thomas (Cllr for Leith Ward and also on the board of Edinburgh Leisure) outlining her rationale for why the pool must close. 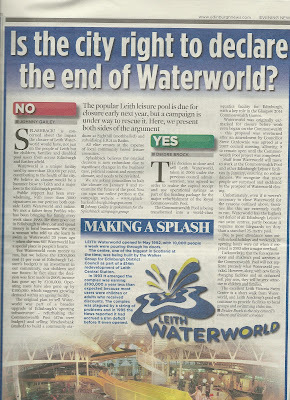 Splashback's response was published today, Thursday 15 Dec, and is available here.